This is a toughie. For the fourth day of BBAW, we’re asked to highlight a book or author that we feel has been neglected for too long. I’ve been racking my brains and checking my shelves and I’ve finally settled on the following mainly because I haven’t really come across them in the blogs I read. I first came across Montmorency: Thief, Liar, Gentleman? by Eleanor Updale when I stumbled upon the third volume in this series of four books (Montmorency and the Assassins: Master, Criminal, Spy?) by chance in a charity bookshop and bought it for the title and the cover art. It looked beautiful and who can resist the name Montmorency? I read it in one sitting and immediately had to get the others (there’s also Montmorency on the Rocks: Doctor, Aristocrat, Murderer? and Montmorency’s Revenge). Although it’s aimed at older children, the Victorian setting, the dark themes and dealings with criminal elements all make this an enjoyable read for adults too. 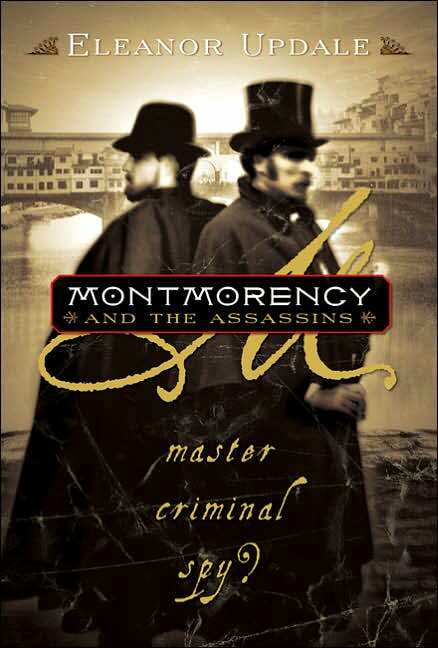 Montmorency is a master criminal, a wealthy gentleman during the day and a thief at night. It’s a wonderful series of books dealing with love, loss, friendship, honour and vocation set during a period of change and turmoil and I’m REALLY upset that there are no plans for a fifth book. Since I’ve been mentioning more than one book for each task I might as well carry on, right? 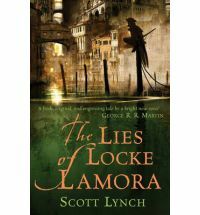 Another book I would love more people to read is The Lies of Locke Lamora by Scott Lynch. In the sff world, Lynch’s name is pretty big considering he’s only published two books and a third is hopefully coming out next year. If you’re not a big reader of fantasy, this might be a good introduction to the genre because although it is set in another world with lots of strange names, the plot is intricate, fast paced and thrilling. Lynch’s world building is truly marvelous and beautiful. I guarantee that you will be stunned by the quality of his prose and will fall in love with his characters. Locke Lamora is a conman and we follow his travails as he and his friends try to get one over the rich and powerful. This is the first in a seven book sequence titled The Gentlemen Bastards and I cannot wait to read the rest. And finally, I want more people to read A Golden Age by Tahmima Anam, a debut novel about the war of secession and the birth of Bangladesh. I read this book almost two years ago but it still retains a strong emotional impact on me, not only because it was a subject I didn’t know much about, but for Anam’s beautiful prose. It’s not over-sentimental but neither does it shirk the horrors of war. This book will stun you. And I’m looking forward to reading more by Anam. Interesting books. Thanks for highlighting those! Like the sound of your third book. Sounds good and also sounds like one I could find here! I haven’t read any of these, so I will add them to my wish list! These are new to me. Montmorency sounds especially appealing. I had Montmorency on the Rocks from the library last month but sent it back unread when I found out it wasn’t the first in the series (I’m picky about that!). I need to remember to get the first one out soon! A Golden Age is on my (very, very large) South Asian shelf here! I hope I can get to it soon! Hey, based on the two books that you posted, it looks like you like characters who are thieves. Have you read the Queen’s Thief series by Megan Whalen Turner? 🙂 Incidentally, that’s my pick for Forgotten Treasures and I have a feeling you’ll like it.